Although the role of vitamin D in bone metabolism is well-established, there is growing debate on how vitamin D affects a variety of different biological processes, including those related to fertility, infection, pain and sleep. Previously published studies have shown that vitamin D can affect the body's inflammatory response, which also alters pain sensation. Several clinical studies have reported that vitamin D levels are associated with sleep disorders. Chronic pain conditions not only affect sufferers' quality of life but also negatively impact upon health service time and budgets. A link between sleep disturbances and pain has long been established but a role for vitamin D has not been fully investigated. 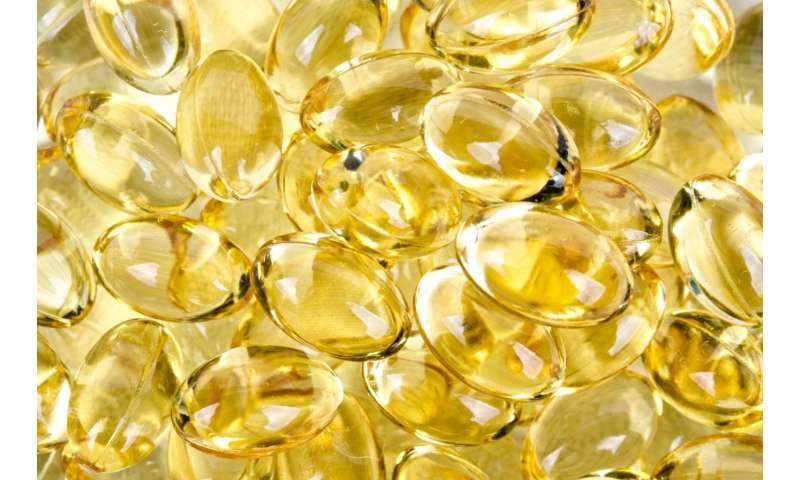 These findings suggest that vitamin D supplementation combined with good sleep quality could increase the effectiveness of pain management treatments, for diverse conditions. This simple approach, if effective, could reduce the burden on health services and improve the lives of patients. Dr Monica Levy Andersen says, "we can hypothesize that suitable vitamin D supplementation combined with sleep hygiene may optimize the therapeutic management of pain-related diseases, such as fibromyalgia"
"It is necessary to understand the possible mechanisms involved in this relationship, including immunological and neurobiological pathways related to inter-relationship among sleep, vitamin D and pain", explains Dr Andersen. Assistant Professor Sof Andrikopoulos, University of Melbourne and Editor of the Journal of Endocrinology commented, "this research is very exciting and novel. We are unravelling the possible mechanisms of how vitamin D is involved in many complex processes, including what this review shows - that a good night's sleep and normal levels of vitamin D could be an effective way to manage pain." Fentanyl is dramatically more effective for pain management. is there something magical about your preparation method? or do you use something that removes the pheromone, making it worthless to collect it as a prescribed medicine? you can't even keep your own fraudulent claims straight! your own words confuse you that much, hey? are you a pot smoker too? What is your mental illness diagnosis? so, i request evidence and require more than just your religious fervor and that indicates to you that "i" am the one with a mental illness? you're hilarious... and an idiot! in other words, you can't produce science so you want people to just "believe in you"
It's good to be skeptical, but wrong to libel the messenger. i will tell you what the judge will say: "it isn't libel if it's demonstrably proven to be factual"
you have yet to provide anything other than your personal religious beliefs about pheromones, and you can't even show where human pheromones exist, as i demonstrated with links already, because, and i will quote from the study again: " there is no robust bioassay-led evidence for the widely published claims that four steroid molecules are human pheromones"
Take your finger and thumb. Pinch your nose. Rub your finger and thumb together. That's the pheromone. If you can be affected by your own "pheromone" then it's not a pheromone, it's a hormone. Someone like you that can't keep simple terminology straight can't be trusted.